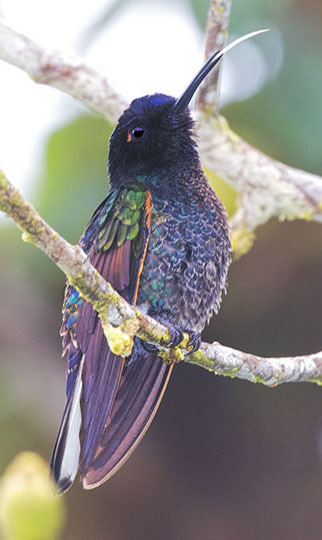 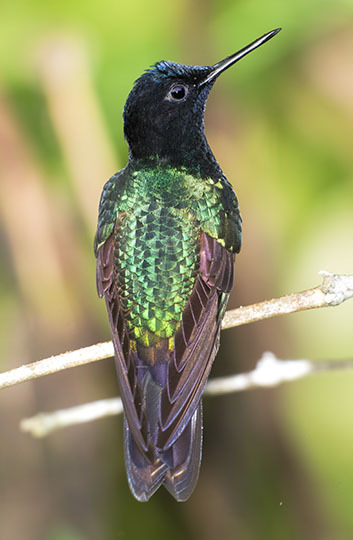 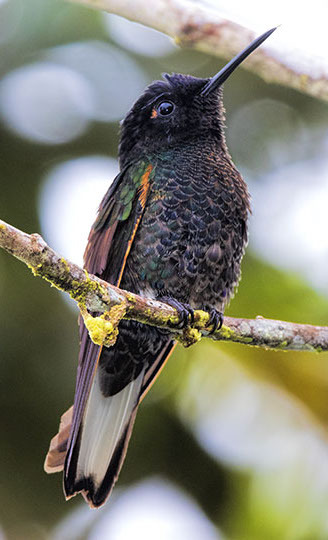 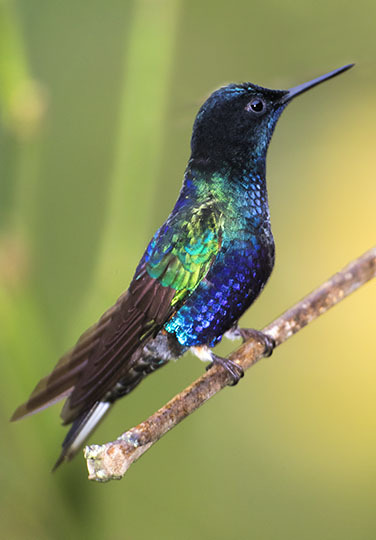 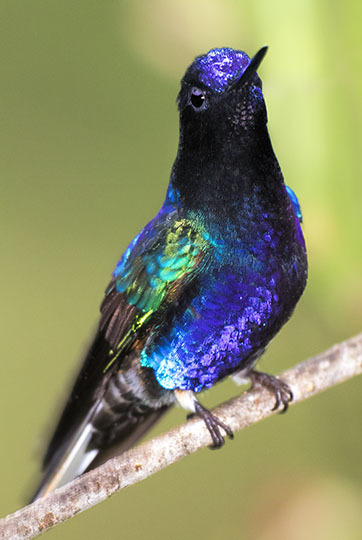 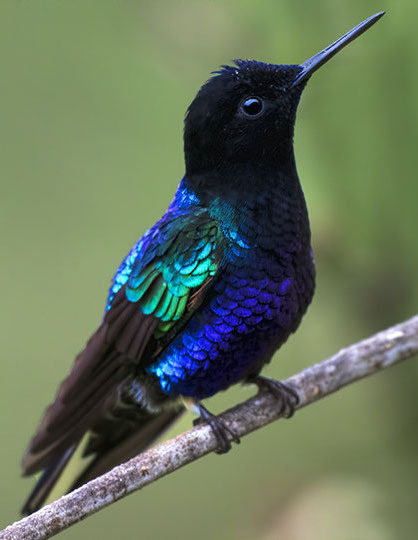 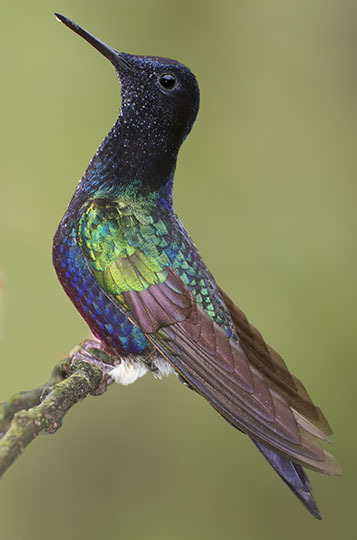 Colombia has many spectacular hummingbirds, and this is one of my favorites. 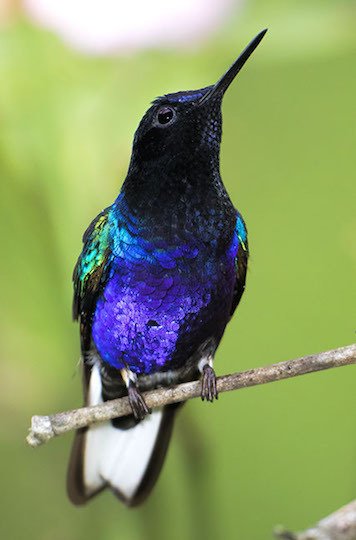 In poor light it's a dull blackish bird (bottom right) but when light reflects from the right direction, the plumage flashes a brilliant purple-blue with green highlights. 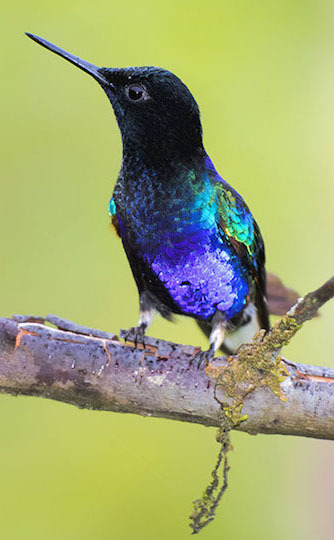 These were photographed in the Western Andes north of Cali, Colombia.